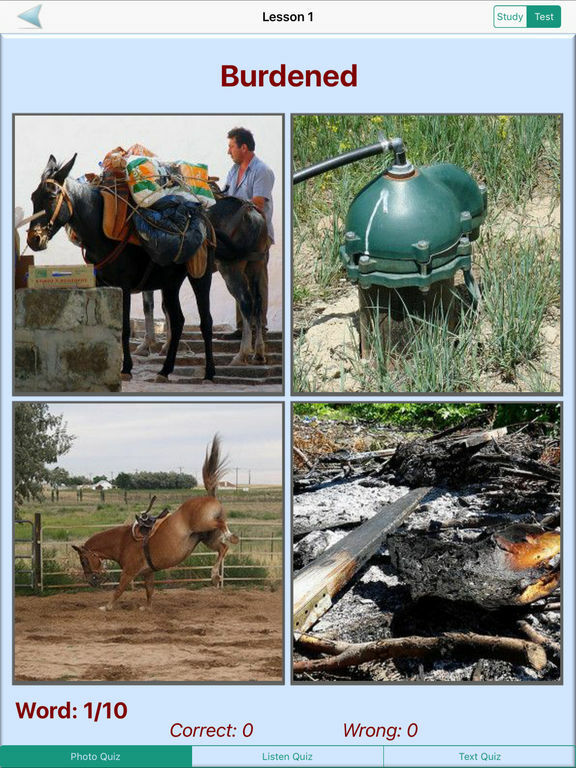 In this mode, you select the correct photo out of four photos shown to match the text that you see. 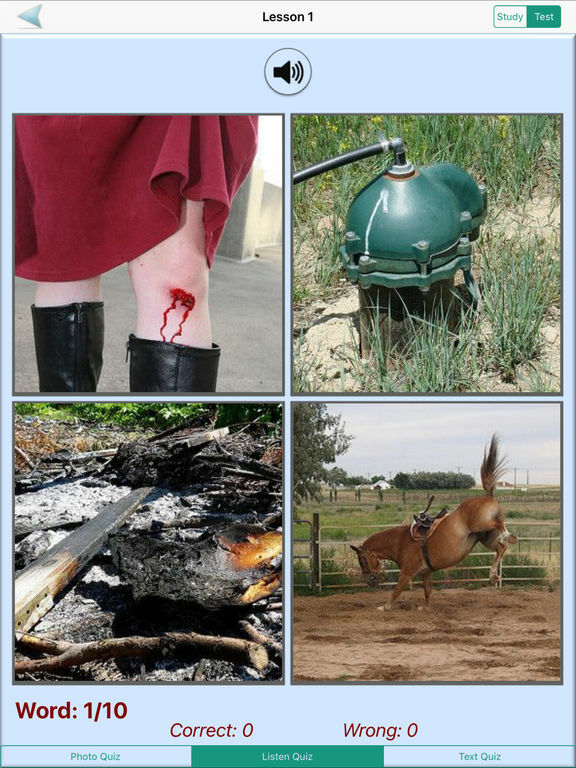 you select the correct photo out of four photos shown to match the English word you hear. 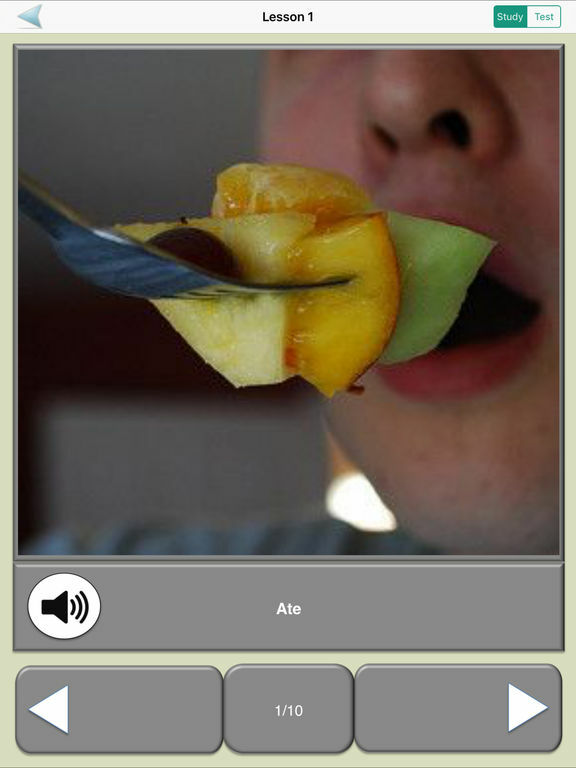 In this mode, you pick the text that fits the picture.